My wife decided to tackle a bit of cleaning in our basement storage room today. 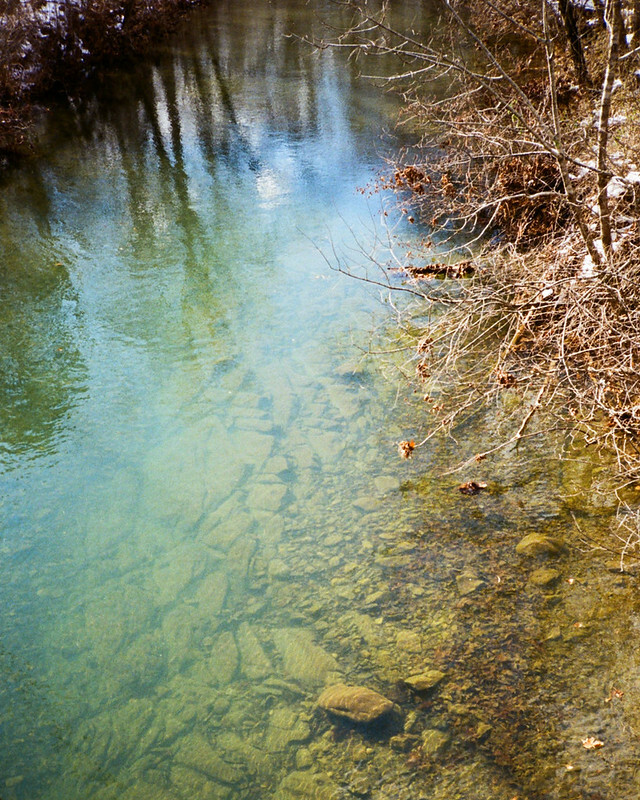 This lead to my discovery of a camera that I thought had been lost, or perhaps worse had been thrown away by accident. 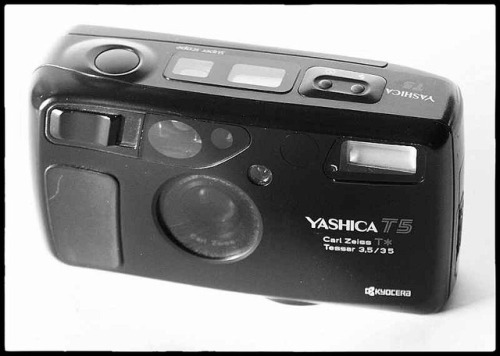 I bought this little Yashica not long after I learned of a New York City taxi driver who took pictures of the city while driving his cab. He used these cameras to make his photos and he ended up publishing a book of his photos called "Drive-By Shootings" (which I also ended up buying). At this point I don't even know if this camera still works or not. I stuck a battery in it and everything seemed normal. It still had a roll of film in it with one exposure left to be made. That seemed to go just fine and then the camera automatically rewound the film. So far so good. This might prove to be fun. I'll be keeping my fingers crossed as the weatherproof nature of the camera would come in handy here in the damp surrounds of Oregon. It doesn't look like there are too many point 'n shoot folks here on this forum but I'm wondering if anyone else here ever have one of these cameras? If so I'd be curious to know how it worked out for you. These are sought after these days and used by many people... either use it or sell it. Either way, it`ll be good for you. I've had mine for about 4 years now. The super scope feature comes in handy more often then one might think. Flippy screen ala 1990. Very sharp and contrasty lens on this one. 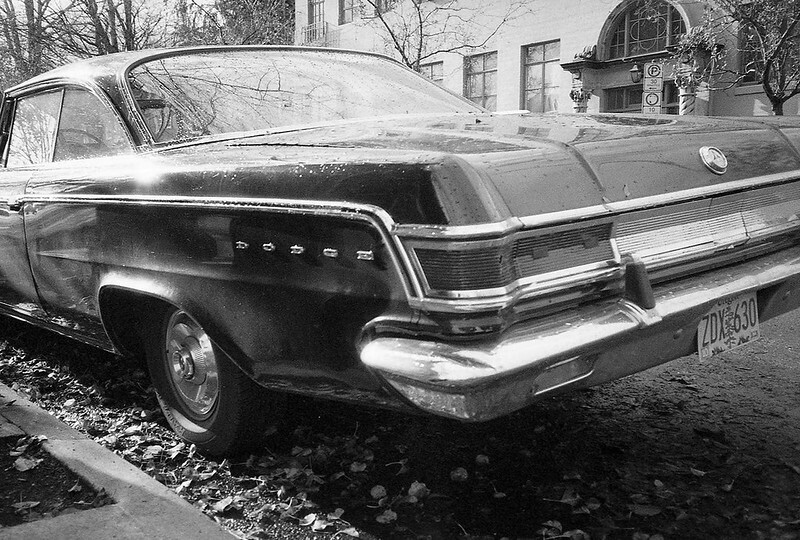 I shot mostly b&w film in it as the colours out of it never did me over. I never intended to get one of these but at 3$..! I wouldn't be surprised if you could get at least 300$+ for it along with that box and pouch. I also have one; very sharp lens and excellent meter (excellent for slide film). They are now a cult camera. I met the author of Drive-By Shootings on the street in NYC (in front of a store on the street with his dog). Then, found and purchased the book. The book is excellent too. Used the T4D a lot, great little camera with a sharp lens. Nothing spectacular, it is after all a point and shoot very indicative of its time. Yep ! I have the book (Drive by Shooting) and have owned Yashica T2, T3 and still have a T4. They are nice little point and shoot cameras. Fine little cameras. This first shot was done inverted, then flipped and cropped after fixing the horizon line. I think the AF chose the fence line. 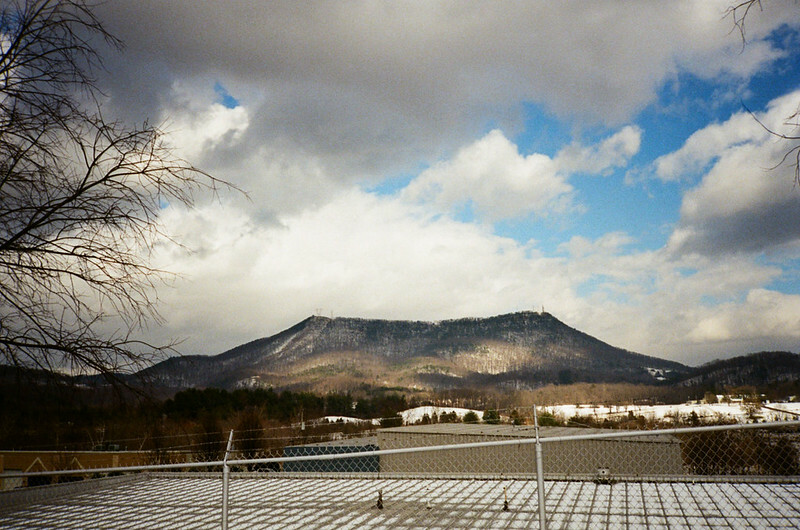 These were low res scans I got from the drug store before they quit developing film. This one was taken the conventional way. It's one to hang on to. It’s a good performer. I’ve had the T5 and the T4 before that, currently got the T3 Super which I’m goin to sell. All have fine lenses. Wow, it seems that quite a few here have owned these. Nice to know that it's still fairly well regarded (and rather funny to learn that it's somewhat of a cult camera). I had the Yashica along with me yesterday and tried to snap a shot of the back bar at my local pub. I did not realize that by default the flash setting is on automatic mode. I nearly blinded my bartender as a result. Now that I've experienced this embarrassment, I don't think that I'll be making that mistake again any time soon. Egads. Had one, great camera, great lens. Not using it, I sold it here. I had a black T4 in the late 1990s then sold it out. It's a decent P&S with some flaws : quite long to get ready to take photos after you switched it to ON, very low AF, enormous shutter lag, good lens but with lots of vignetting in the corners if you use films slower than 400 (the lens vignettes a lot if the diaphragm isn't quite closed, and really much more than, say, the Tessar 3.5 of a Rollei 35, probably because of the shutter unit being installed behind the whole optical group and not inside the optical elements). The very high prices of those Kyocera plastic toys on the nowadays second hand market are quite... well ! I had the roll of film developed that was sitting in the Yashica. The film turned out okay and with the exception of the couple of shots needed to finish out the roll all the other images appeared to be taken well over 10 years ago. I’m shooting a roll of film with it now - grabbing shots of family today — Happy Thanksgiving by the way! If all checks out okay with this roll of film (I have no reason to believe otherwise except that the camera was sitting for so long) then I’ll likely pass it along to someone else. We’ll see how things go. Great lens. The waist level finder is a blast for street. I found one of these in a thrift store 3 days ago. Funny because at the same time last year I also found a mju i. Bought the mju for $1 then sold for $120. I bought the t4 D for $3 then flipped on the interwebs for $400. It felt like I won the lottery. Crazy prices for these point and shoot nowadays. I hope I find a Leica next time haha. 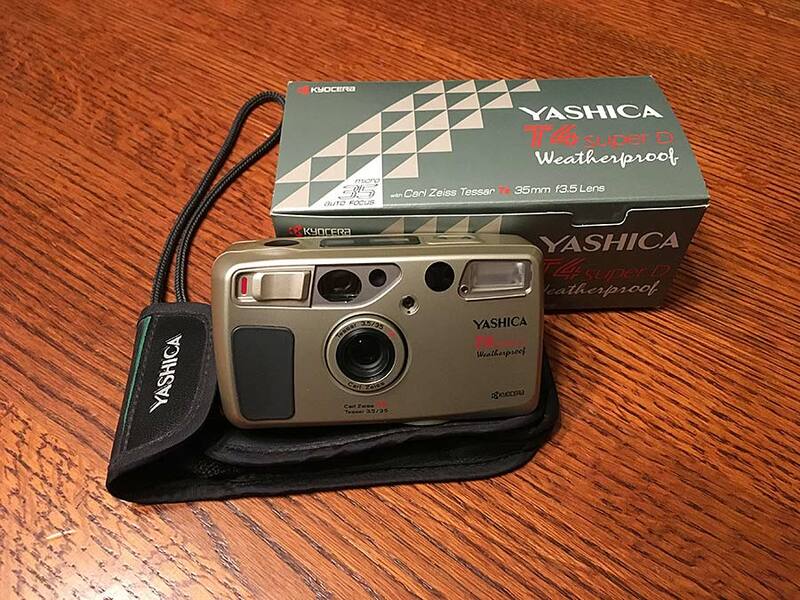 I was looking for something camera related and came across this Yashica T in my closet...it had a roll of film in it and a set of batteries...the batteries started to leak but didn't do any damage to the camera, just a little discoloration on the battery door contacts. I had the T4, Great camera. Mine went 'missing' under strange circumstances (i. E Stollen, but I had no proof). I should have replced with the T5. But replced with a Fuji super mini, my mistake, and regret. I never really got on with that camera.